Mongolia – Improvement of housing conditions for vulnerable women in the yurt district of Chingeltei district and test of house construction for two of these families. Improvement of housing conditions for vulnerable women in the yurt district of Chingeltei district and test of house construction for two of these families. MONES is a Mongolian association established in 2000 to support women’s associations and associations dedicated to women’s rights in Mongolia. Over16 years, the NGO has distributed more than 852,000 Dollars to women’s associations in its country, through the financing of 356 projects in all provinces of Mongolia. The vision of MONES is that women have the same rights as men, that they have the capacity to realize themselves fully and that they are recognized and appreciated as a major force of society. The mission of the NGO is to provide technical and financial support to the associations through the mobilization of funds, resources, knowledge and skills in order to advance the rights of women in Mongolia. To do this, MONES protects and promotes women’s rights and builds their leadership capacity to improve women’s justice, equality, transparency and engagement at the local and national levels. According to 2015 Mongolian census studies, 10% of the 860,000 households are led by single women and 60% of these households live below the poverty line. The project aims to support women mothers of children with disabilities because they are very vulnerable to poverty; they do not go to work in order to take care for their child. The overall objective of the project is: Improvement of the living conditions of the most vulnerable populations in Mongolia through the improvement of their housing conditions. he specific objective is: The housing conditions of the families of 9 mothers of children with disabilities, ie 45 people, are improved in the yurt district of Chingeltei in Ulaanbaatar. 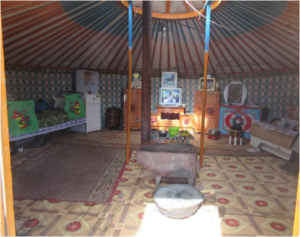 Isolation of 6 yurts in order to offer better housing conditions to 6 families, one of whom is handicapped. 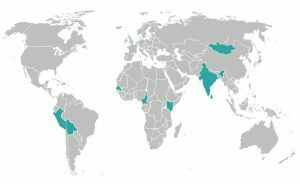 – 9 families of which at least one child is handicapped. -The entire population of Chingeltei District is the indirect beneficiaries as well as the local authorities who will benefit from the positive impact and the model effect of these constructions.